The Faelhen (Elven for "Neutral Eye") is a planar assassin organization. Based out of a hidden monastery and training school located in the Outlands, the Faelhen are not organized like most assassin's guilds. Instead of being available for hire, they are devoted to the concept of Balance (being True Neutral as a whole) and work directly for the rilmani. In addition to whatever tasks their argenach contacts give them, they are believed to somehow monitor various Prime Material Planes to determine when Balance is threatened, allowing them to dispatch assassins to deal with the situation. The Faelhen do not stringently revere any gods, although they do recognize and occasionally invoke Chronepsis, the Furies, and Sirrion in their Neutral aspects. 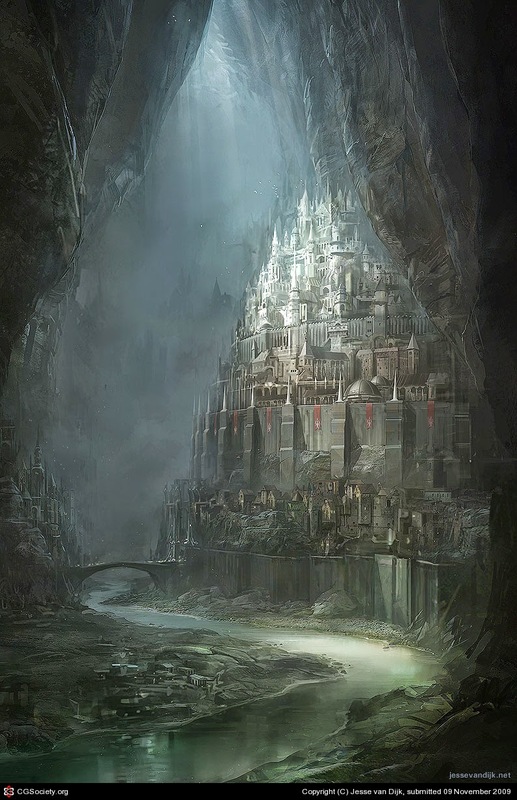 The Faelhen citadel's location is unknown, but is suspected to be somewhere highly defensible, possibly underground. 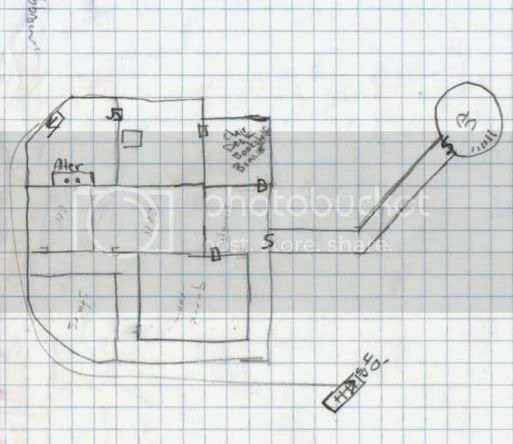 The fact that some of their members have displayed shadow magic suggests that they are not so close to the Spire as to lose their magical abilities; otherwise, how would they train? The assassins are led by Kalanna Aleanathem, known as the Maikash Thaltria ("Fateslayer Bladedancer") to her pupils. Evidently centuries old, Kalanna's longevity comes from her stature as a half-elf, half-dragon of concordant lineage. Although not a cleric of Chronepsis, she keeps a sandclock by her bedside so that she may contemplate her life slipping away. Referees wishing to run Kalanna as an NPC in old school games should assume she is an elf assassin of the maximum level allowed by the game system at hand (ignore elf level restrictions). She moves at Movement 15ʹ, flies at Movement 30ʹ. She has a natural armor as per Scale armor and is immune to poison. At will, she can Detect Balance as per the Druid spell (in systems without this spell, assume she can determine how far from Neutral a character's alignment is, although she cannot expressly determine the alignment in question). Three times per day, she can use invisibility, as per the spell. She can claw twice per round (1d4/1d4), and twice per day, she can use her breath weapon — an eight foot long cone of antithetical energy. Assume antithetical energy deals no damage to Neutral creatures. Neutral Good, Neutral Evil, Lawful Neutral, and Chaotic Neutral creatures take 2d4 damage, while all other creatures take 4d4 damage. In games with only Lawful-Neutral-Chaotic alignments, assume Lawful and Chaotic creatures take the full 4d4 damage. 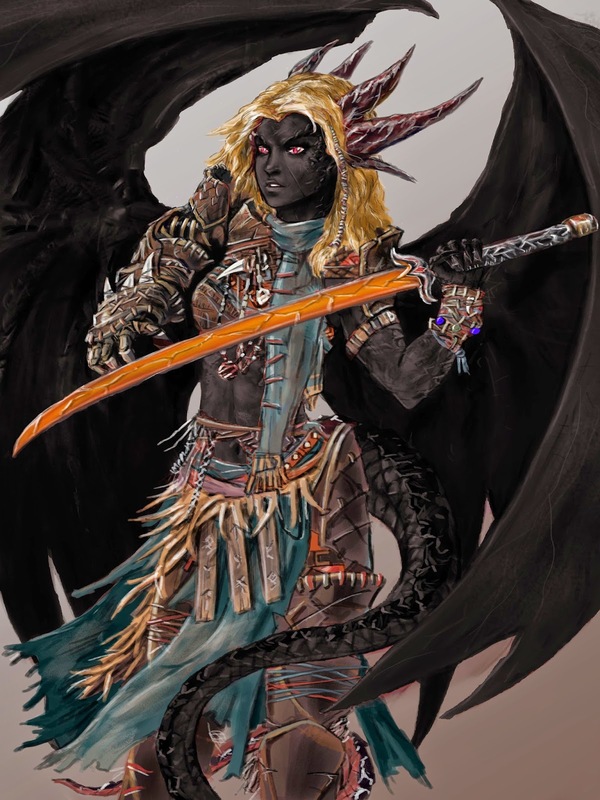 Referees wanting something in the 3.x paradigm can use Pathfinder statistics for Kalanna (and anybody with more Pathfinder/3.x experience than I should feel free to revamp her statistics and equipment). And yes, I'm aware she breaks the rules in a couple of spots (Neutral assassin, breath weapon). Strange things happen out in the planes. Before Combat The assassin uses Stealth or Disguise to get close to her prey so she can study and strike with her death attack. During Combat Using her fast stealth to rush into the fray, the assassin attacks the most threatening target using bleeding strike. Next, she moves out of melee to soften foes with throwing dagger attacks before reentering melee. * The antithetical energy breath weapon deals the full 6d8 damage to Lawful Good, Chaotic Good, Lawful Evil, and Chaotic Evil creatures; 3d8 damage to Neutral Good, Neutral Evil, Lawful Neutral, and Chaotic Neutral creatures; and no damage to True Neutral creatures. Referees wanting a D&D fourth edition version of Kalanna can use the statistics below. Her vial of poison can represent any poison the DM sees fit to use; assume she is trained in any of them, including the assassin's poisons from Heroes of Shadow.